Natural gas vehicles pushed in La. The push for compressed natural gas vehicles has gained some major traction with commitments from Ford, Chevrolet, Dodge and General Motors, but energy industry experts say federal incentives will be needed if real transformation is to occur. The energy industry has felt good about the direction CNG has taken for a while, Briggs said, but the advent of mass-produced pickups that can run on natural gas or gasoline opens the door on a national scale. 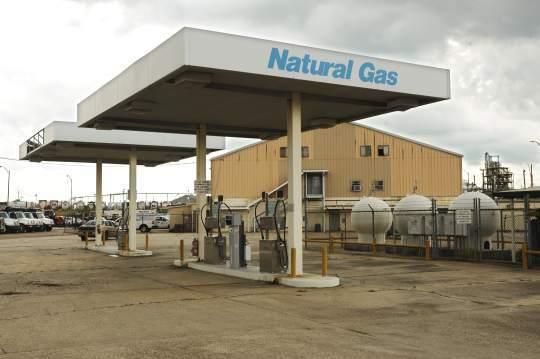 Louisiana has seen CNG advances because of its Haynesville Shale natural gas formation, LOGA, the energy industry, and companies like Chesapeake Energy Corp., Encana Corp., Petrohawk Energy Corp. and Apache Corp., Briggs said. 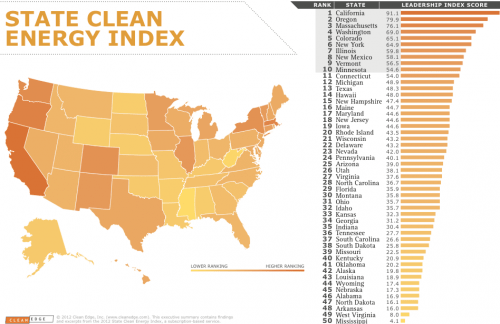 But trying to get Mississippi, Alabama and Florida and other states that don’t have the energy infrastructure to support CNG has been more challenging. That may be changing. Twenty-two states are part of an effort, led by the governors of Oklahoma and Colorado, to encourage automakers to make more affordable CNG vehicles for state fleets. Oklahoma Gov. Mary Fallin has said the governors hope their efforts will help overcome some of the obstacles automakers face in producing a wider variety of CNG vehicles. Oklahoma Energy Secretary Michael Ming said if the participating states could buy 5,000 CNG vehicles that would be great, but 1,000 is more likely given the current economic climate. State government buys only about 40 percent of the public-sector vehicle purchases, Ming said. Municipalities and other political subdivisions account for 60 percent of sales. If the municipalities — city and parish governments — tag along, the CNG sales could be significantly higher, Ming said. The states presume the CNG vehicles available aren’t that affordable, Knittel said. “There’s no magic wand that the automakers can wave that makes the CNG vehicles less expensive than gasoline-based vehicles,” Knittel said. States have to put policies in place with incentives that encourage consumers to switch, he said. Those incentives could involve making CNG fueling stations available, subsidizing vehicles or in-home fueling stations, or by lowering retail prices for natural gas. Right now, the states aren’t guaranteeing anything to automakers, Knittel said. There are roughly 1,000 fueling stations nationwide, and 123,000 CNG vehicles, Ming said. In Louisiana, CNG vehicles make up less than 1 percent of the cars and trucks on the road, Briggs said. Nationwide, CNG vehicles are around 2 percent of the total. But that can change if the state, local and federal governments and the private sector — the companies that operate fleets — work together, he said. “I don’t think the federal government or the state government or the local government can do it by themselves, any more than I think the fleets can do it by themselves,” Briggs said. But working together can make things happen, Briggs said. Just look at Lafayette, where the city-parish government and private sector have joined to make the state’s most aggressive move to CNG. In July, Apache opened a public fueling station. The company also converted 15 of its vehicles in Lafayette, part of 300 conversions it will complete by yearend. The city-parish has converted five buses and announced plans to convert its entire fleet. The city-parish is also trying to form a partnership with the University of Louisiana at Lafayette and the local school boards to convert all their vehicles, Briggs said. Acadian Ambulance is experimenting with CNG for its vehicles. The East Baton Rouge City-Parish Government recently began looking into converting all of its vehicles to CNG. The city-parish expects the move will slash fuel costs, particularly for heavy-duty pickups and other vehicles that consume more fuel. Chesapeake spokeswoman Katie McCullin said there is evidence across Louisiana that the state is leading the nation in natural gas usage. For example, Shreveport has added 14 natural-gas powered buses, and Bossier City has added a second public fueling station. Holmes Honda in Shreveport and Bossier City received its first shipment of the Honda Civic Natural Gas, the only dedicated CNG vehicle now sold in the United States. In total there are 10 public CNG stations in Louisiana, with more in the planning stages or under construction, McCullin said. Chesapeake, a major player in the Haynesville Shale and other natural gas plays, is one of the leading proponents of CNG. The Oklahoma-based company’s Fueling the Future Initiative is an effort to communicate how natural gas can reduce greenhouse gas emissions and end the United States’ dependence on foreign oil, McCullin said. The company has a billboard off Interstate 10 near the state Capitol extolling the use of natural gas vehicles. Chesapeake has participated and sponsored natural gas vehicle seminars nationwide and is converting its 5,000-vehicle fleet to CNG, McCullin said. UPS, Verizon Wireless, Waste Management, Disneyland Resorts and AT&T are also converting their fleets to CNG; in 2009, AT&T announced it would spend $350 million to buy 8,000 CNG vehicles. McCullin said Chesapeake will also invest at least $1 billion over the next 10 years with Clean Energy, 3M Corp., GE and Sundrop Fuels in efforts to increase demand for CNG vehicles. The work with 3M could revolutionize the design and manufacture of CNG tanks, the most expensive part of the CNG fueling system, McCullins said. The redesign is expected to lead to lighter, more durable and less expensive tanks. Chesapeake expects these investments to be the tipping point that gives automakers the confidence to increase their production of CNG and liquefied natural gas vehicles, McCullin said. Still, both Briggs and Knittel said federal incentives are needed if natural gas is to replace oil as a transportation fuel. The federal government would be the best source for those incentives, Knittel said, because the benefits from CNG vehicles accrue to the nation, not just to the states. Energy independence and a reduction in climate change help everyone in the United States, regardless of whether a Louisiana resident buys CNG vehicle, he said. “When the benefits accrue to everyone, the best place to set the policies is at the higher federal level,” Knittel said. Briggs said if the country wants to see “a monumental shift,” then Congress should pass the Natural Gas Act. The act replaces CNG incentives that dropped off the books about three years ago, Briggs said. That was about the same time that Louisiana passed its own CNG vehicle incentives, Briggs said. Right now, with only the state incentives, a Louisiana consumer can recover the $10,000 it costs to convert to CNG in two years if he drives 15,000 to 20,000 miles a year. Most people don’t drive that much, Briggs said. But if both federal and Louisiana incentives were in place, converting a vehicle would be free, and consumers would begin saving money instantly. “You’re saving a dollar, a dollar fifty, two dollars a gallon,” Briggs said. Briggs pays around 45 cents per gallon by fueling up at LOGA’s office station, he said. At Apache’s Lafayette station, the cost is around $1.79 a gallon, which is still only about half the price of gasoline. Briggs said there is enormous support for the Natural Gas Act, but he doesn’t expect Congress to pass the legislation anytime soon. And Knittel said any new policies that involve handing out more money have little chance in Congress these days. “Still, I could certainly see both sides of the aisle supporting CNG,” Knittel said. The rhetoric from both parties suggests they would support natural gas vehicles, he said. 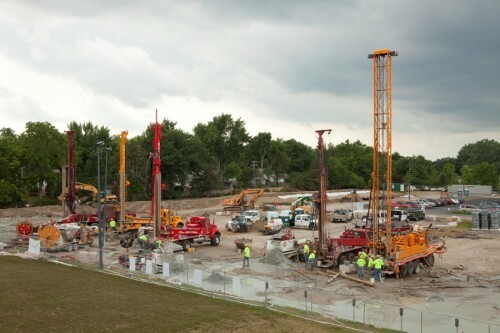 Meanwhile, the price of natural gas is lower than it’s ever been, and with shale gas so plentiful, prices are expected to remain low for some time, Knittel said. In the past, natural gas prices have been very volatile; the price might fall but no one expected it to stay there. Now, natural gas is expected to remain at less than $5 per thousand cubic feet for the foreseeable future, Knittel said. Briggs said the United States is the Saudi Arabia of natural gas. 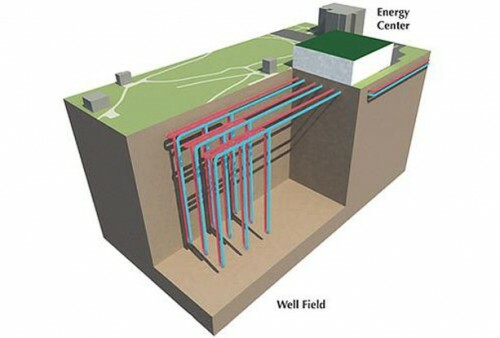 “We have more natural gas than we know what to do with. We’re trying to export it,” Briggs said. The country has so much natural gas that it’s going to run out of storage capacity, Briggs said. “I think if the federal government … is serious about eliminating our dependency on foreign oil, the only viable alternative is natural gas,” Briggs said. Congress should pass the Natural Gas Act, he said. “Let’s get it on the books, and let’s see if we can get started transforming America’s transportation infrastructure” Briggs said. Until now, U.S. companies were not allowed to sell a fuel that contained more than 10 percent ethanol for use in most conventional gasoline-powered vehicles. Most gasoline sold in the United States contains the blend of 90 percent gasoline and 10 percent ethanol. The EPA, which approved the new blend in January 2011, had to first complete a series of steps before E15 could go on sale to prevent misfueling and ensure that the fuel is properly marked and sold. The blend has been approved for use in cars and light trucks from the 2001 model year onward, but it is banned from older vehicles and light equipment. “I think there are a number of stations, particularly in the Midwest, that will be very interested in introducing E15, and there will certainly be encouragement from the renewable fuel industry for it to be done as quickly as possible,” U.S. Department of Agriculture Secretary Tom Vilsack said. Vilsack said there are a limited number of flex-fuel vehicles in the U.S. that can use a fuel containing 85 percent ethanol and 15 percent gasoline. And with most gasoline containing 10 percent ethanol, boosting the additive to 15 percent was one way to increase the use of the renewable fuel, he said. “Anything that paves the way for E15 is a good thing, and today we got the last hurdle removed, so we should be able to see additional biofuel use,” Vilsack added. Still, he acknowledged it will “take some time” before the E15 blend is readily available. The EPA said while some companies may introduce E15 into the marketplace, some federal, state and local requirements, along with other issues, must still be addressed. For example, dispenser and tank compatibility with E15 must be considered by marketers of the fuel. In addition, because several states restrict the sale of some gasoline-ethanol blends, law changes might be needed before E15 can be sold in those states. Iowa is the nation’s largest ethanol-producing state, with 41 plants that in 2011 produced about 3.7 billion of the total 13 billion gallons of ethanol produced nationwide. Corn-based ethanol has been touted by the ethanol industry and American farmers who produce corn as a way to reduce U.S. dependence on imported oil, create jobs and boost income for rural communities. Critics counter that ethanol leads to food inflation by driving up the cost of meat and poultry. 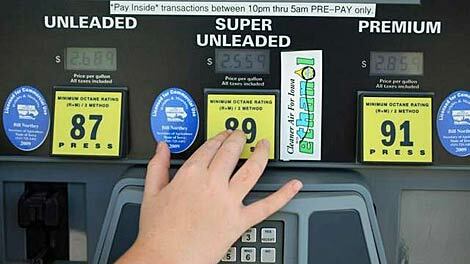 A series of studies have promoted the money ethanol has saved consumers at the pump. Most recently, a study conducted by economic professors at the University of Wisconsin and Iowa State University and sponsored by the Renewable Fuels Association estimated ethanol reduced wholesale gasoline prices by an average of $1.09 per gallon in 2011. A federal renewable fuel standard mandates the use of 13.2 billion gallons of alternative fuels in 2012, with most of it coming from corn. By 2022, the figure would require 36 billion gallons to be blended into transportation fuel. Mars Chocolate has unveiled a new solar garden (aka solar farm or solar power project) at its Henderson chocolate factory in Nevada. Mars Chocolate produces M&Ms, as you may well know, as well as Las Vegas’ Ethel M chocolate and numerous other chocolate and candy options. 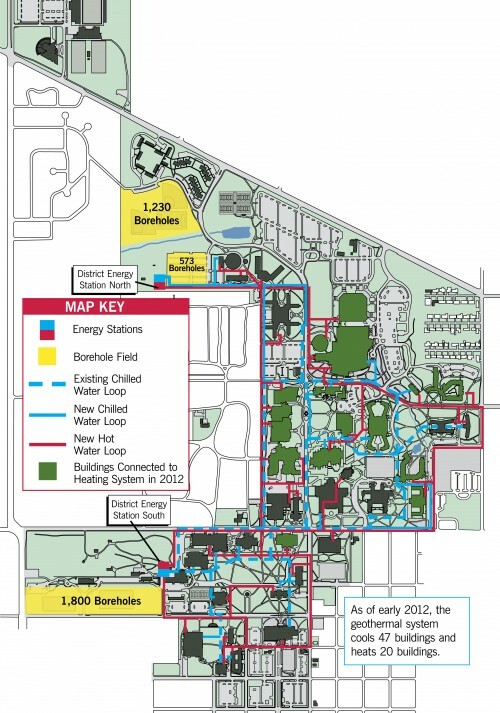 It includes 2,112 ground-mounted solar panels on 4.4 acres. Put another way, it produces enough energy to power 115 Nevada homes. It’s not the largest solar project in the world, but it does what it needs to do and cuts a slice out of some overabundant greenhouse gas emissions. This isn’t Mars’ first foray into solar energy, of course. As I reported back in 2009, Mars turned on a solar garden at its headquarters in New Jersey back in November of that year. I remember a commenter getting on me for not including a photo of that project at that time — luckily, Mars released a photo of this new solar garden with the announcement in Vegas. No matter what you think of prepackaged chocolate, you have to appreciate that goal and this new solar project. Additionally, over 700,000 annual visitors to the adjacent Ethel M Botanical Cactus Garden will be able to view the solar garden from a special vantage point dedicated to that. That’s one thing we sorely need — more eyes on live solar projects. It inspires others to follow suit, or at least helps to plant the idea in their heads. “Mars will purchase all of the energy generated by the solar garden and JSI will own the project and its associated energy credits. Mars worked closely with NV Energy to ensure that the new installation met net metering requirements, enabling Mars to receive energy offsets from the utility based on the amount of energy their solar panels will produce.